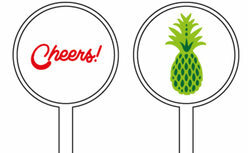 Swizzle sticks are an original gadget that will give your drinks a certain je ne sais quoi. 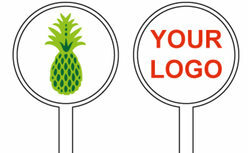 The cocktail stirrers can brighten up a summer cocktail as well as a nice warm drink during the cold winter. 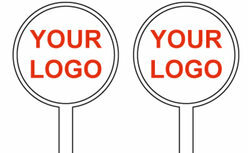 Swizzle sticks add colour, conviviality and a personal touch to your event or business. 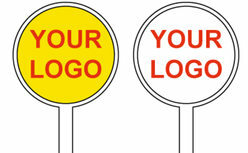 At that, cocktail sticks will help you disseminate your logo, message or advertisement among a wide audience in a fun, though remarkably efficient, manner. 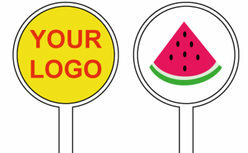 Our cocktail stirrers are printed digitally with ink that adheres to and coats the sticks to perfection. 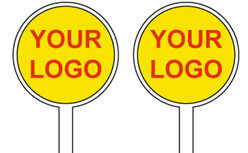 Our cocktail sticks are available in white only and can be printed in mono or full colour, on one side or two.